The value of becoming featured on the App Store cannot be understated. For a startup company that is developing a smartphone or tablet app, receiving this kind of support from Apple is essentially the Holy Grail. It puts your product on the front page of the store and brings it to the attention of millions of users. On a platform where over one thousand submissions are received every single day, this is an incredibly helpful leg-up to help your product stand out from the crowd. 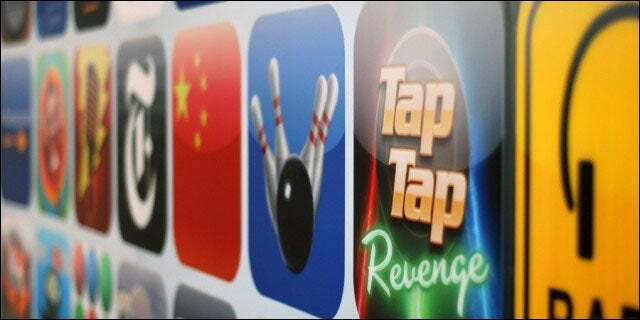 Developers with featured apps have seen their revenues increase by quadruple the amount. There is, of course, no exact science behind how an app becomes featured on the App Store. It is not decided by an algorithm that assesses things like ratings, insights or purchases. The featured section is said to be chosen during a weekly staff meeting by people working on each section of the App Store. However, there are some steps that can be taken in order to increase your app’s chances of being highlighted. The App Store sometimes includes apps from companies Apple works closely with. In the past, EA were rumored to have negotiated a deal with Apple to offer their much-anticipated sequel to Plants Vs. Zombies exclusively on the App Store – shutting out Google Play’s customers – in exchange for a featured position. It doesn’t always take negotiations either; Apple can simply favor respected brands with large consumer bases that they deems reliable. The retailer ASOS had their app featured over the last few weeks in the lifestyle category, for example, while British banks like NatWest and HSBC dominated the financial section of the UK’s store. Competing against powerful, well-known companies like these makes it difficult for startups to break into the featured section. But it’s not impossible. Startup companies may simply need to prove themselves as a worthy brand to Apple. Getting in touch with someone who works at the company – more specifically, someone who works at the app store – will at the very least land you on their radar. This can be achieved by a creative, eye-catching email that demands their attention. It’s also worth attending the company’s Worldwide Developers Conference and making as many connections with Apple developers as possible. Another way to get noticed by the right people at Apple is to create so much buzz that they simply cannot ignore you. Before you even think of releasing your app, your startup should have a great marketing strategy planned to be certain it is reaching the right demographic and getting the attention it deserves. Hiring a PR team – either made up of in-house employees or by reaching out to companies or freelancers – will ensure that you liaise effectively with the media. You can use journalists and bloggers to drum up support for your app and create some hype about its release. This will help the word spread – hopefully as far as Cupertino, California. The most important thing, however, is to build an app that is top quality. It doesn’t matter how much buzz there is or who you know at Apple, if your app is not an efficient, well-designed product that serves a genuine purpose it won’t get featured. Those simply trying to make a quick buck can wave goodbye to their chances. However, if your startup has something that consumers will really want or need, and if you have designed it with a lot of love and care, then you stand a better chance of being acknowledged. Ensure that you have tested the product thoroughly and you have done some market research about both your industry and your competitors. You should also make it compatible with as many platforms as possible.